Math Craft is a supersweet website where members submit their mathematically inspired art and instructions about how to make your own. I love the polyhedra made out of pennies in the masthead, these curve stitches, and these polyhedral pumpkins! Here is a link to Math Craft’s welcome page, authored by admin Cory Poole. Cory is a math and physics teacher at University Preparatory School in California. The welcome page includes some instructions for creating some great paper polyhedra. Math Craft is just starting up; I’m sure there will be many more great project to be found there in the future! An article recently appeared on the Past Imperfect blog on Smithsonian.com about the compelling story of Philippa Fawcett. 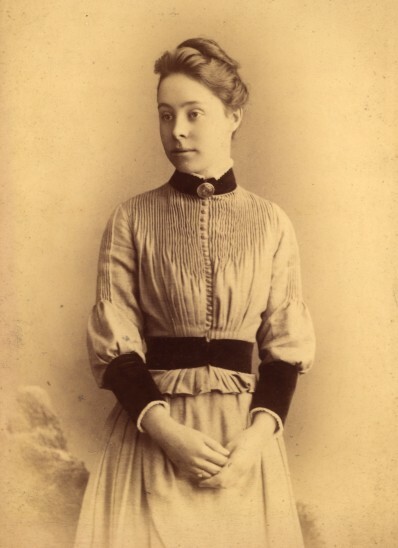 Fawcett was the first and only woman to make the highest score on the Cambridge tripos mathematical exam. She did so during an age when the predominant opinion was that women were incapable and weak and certainly couldn’t excel at mathematics. Fawcett’s performance on this exam did much to dispel this prejudice. The article not only relates an interesting chapter from history, but also give an inspiring account of a person’s drive to success despite enormous obstacles. Benoit Mandelbrot, the father of fractal geometry, passed away about a year ago. You can listen to his outstanding TED talk about his life’s work here. I love his enthusiasm and curiosity, as well as how he can find marvels in the seemingly ordinary. Also, how much fun is the way he pronounces “cauliflower”?! You can find a memorial to Benoit Mandelbrot in last November’s edition of Peer Points. I’m glad you like mathcraft! I’d love to have people contribute and let me know what they’d like to see. I’m willing to research and try most anything and really love just about everything related to math, art, and science. That’s Cory from Math Craft! Thanks so much for commenting. It’s great when we get to meet the real people behind this great math stuff. You’re doing really nice work on that website, and we’re so happy to help you share it. Thanks. I’ll try to keep it up. It’s always nice to see people appreciate the work. Keep on doing what you’re doing too! I think that is amazing for Fawcett to break the record for girls at that time and did she break any other records during that time? I think that it is a great accomplishment that she was the only woman to have the highest score. Also I would like to be as driven as she was. Did she have a profession or did she become a teacher in mathematics?